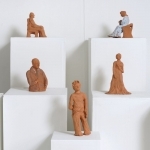 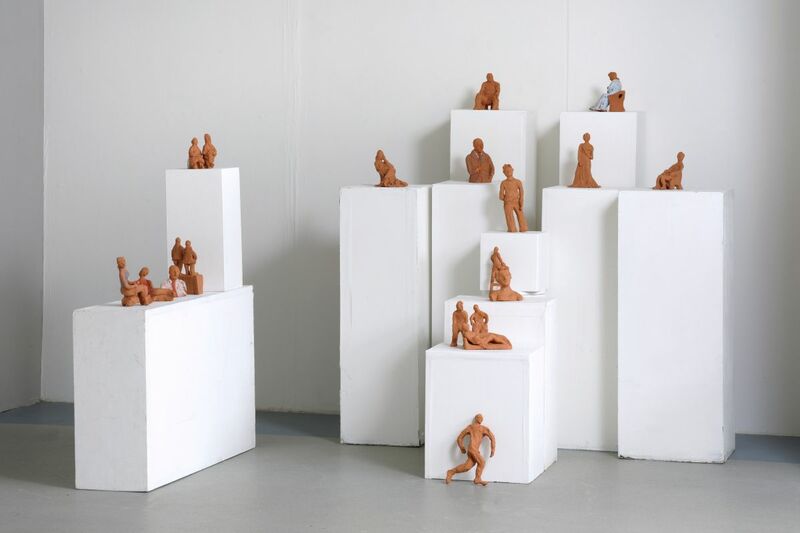 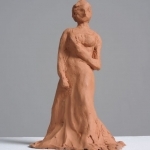 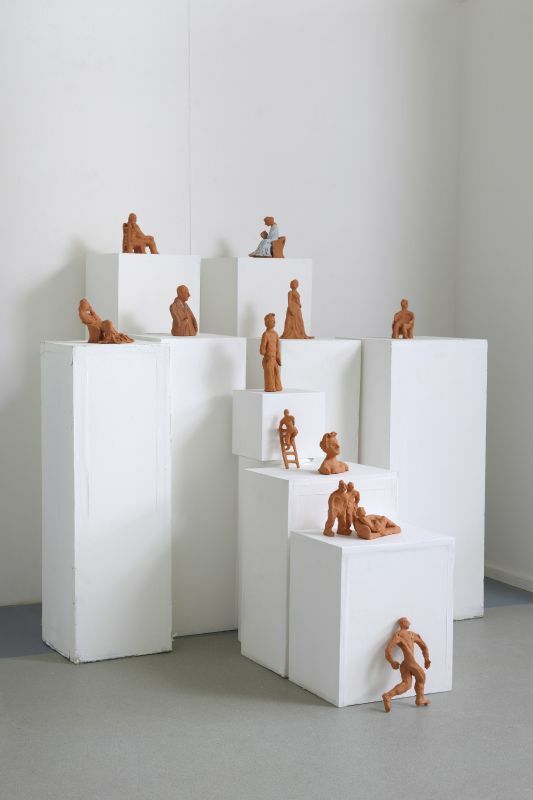 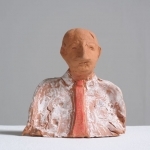 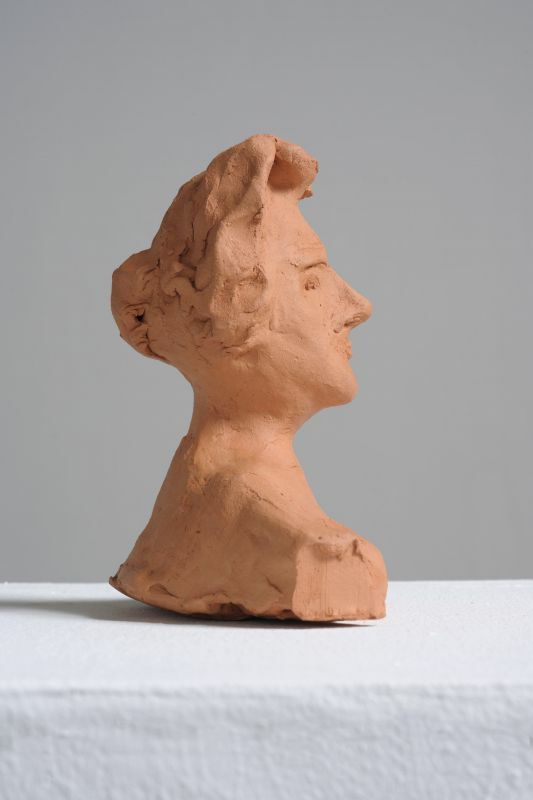 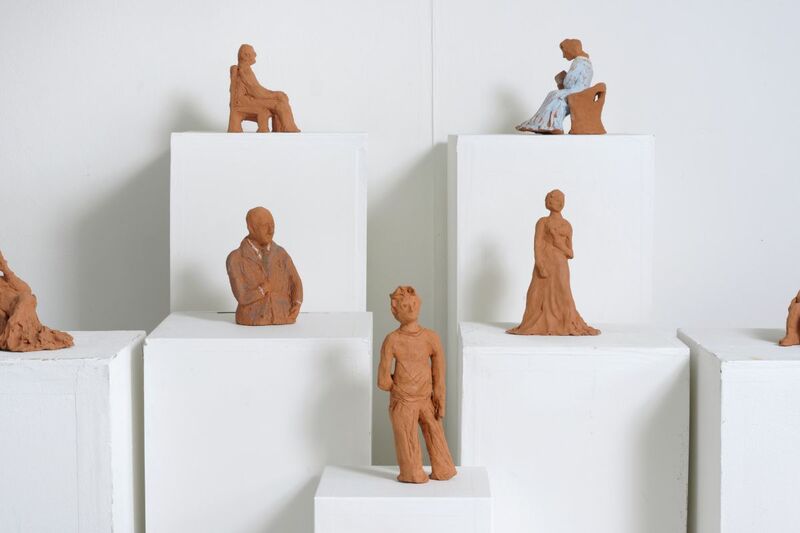 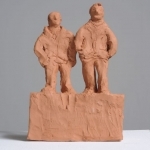 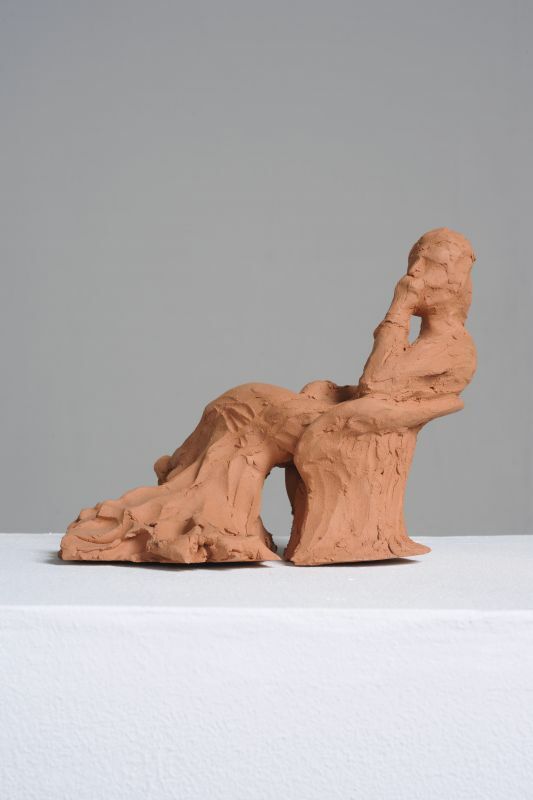 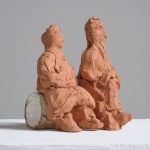 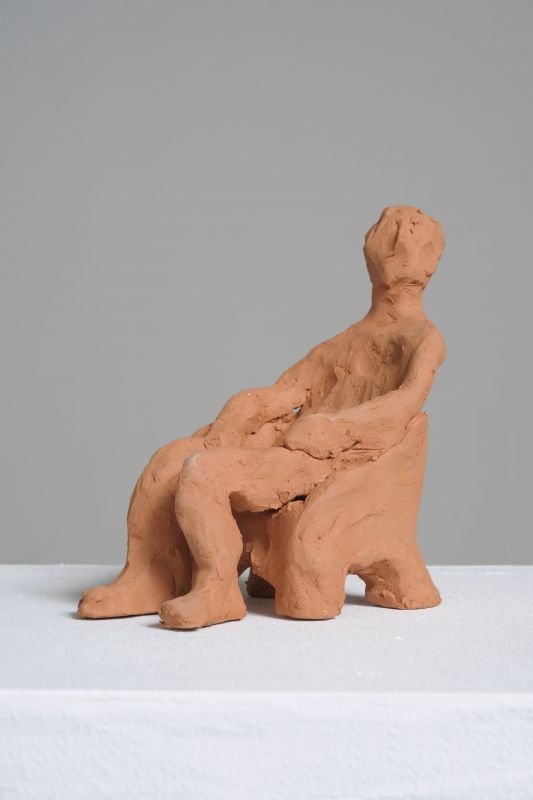 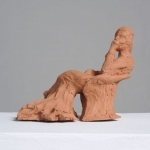 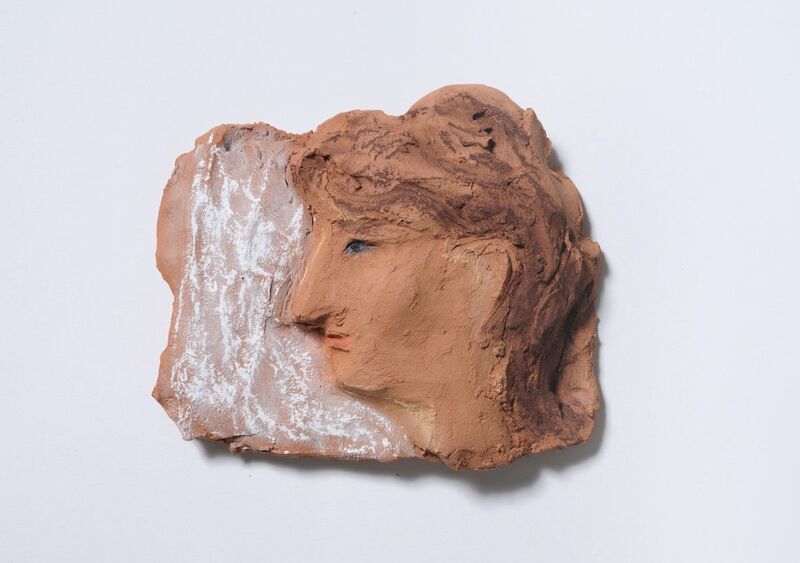 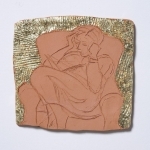 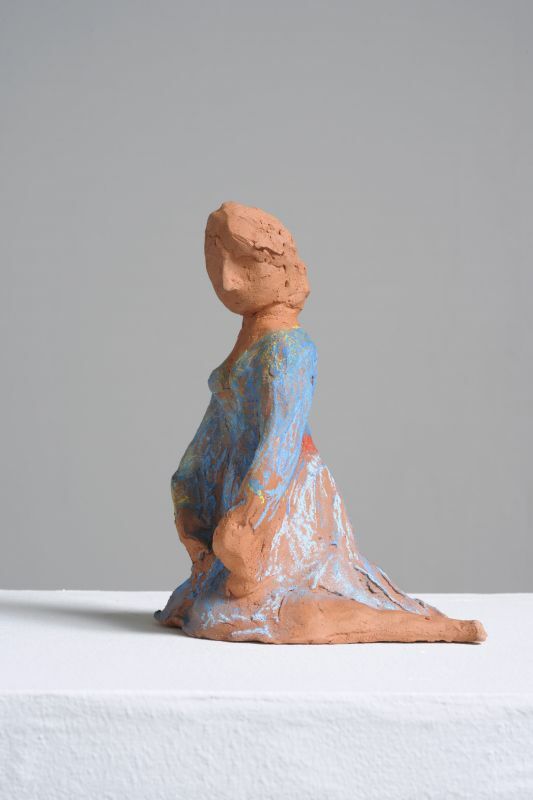 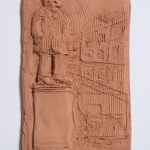 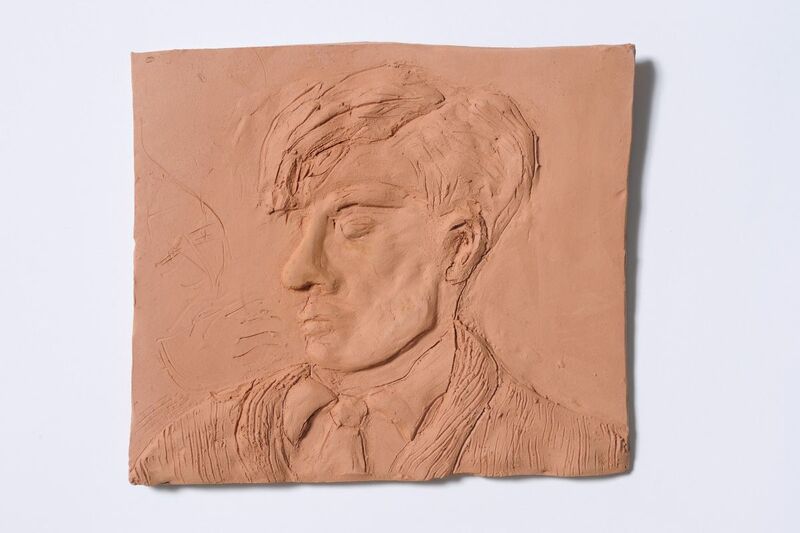 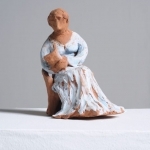 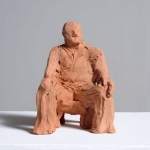 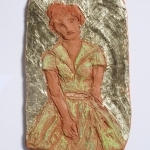 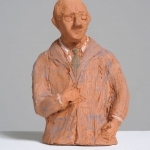 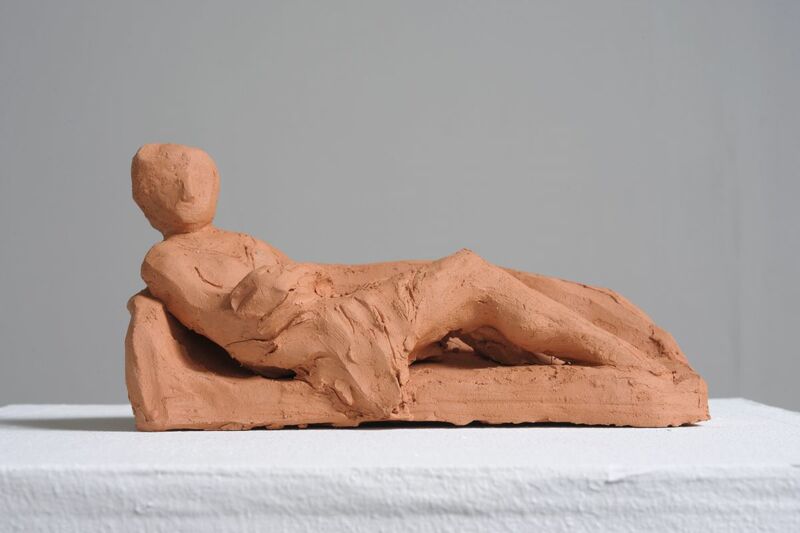 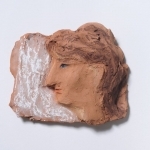 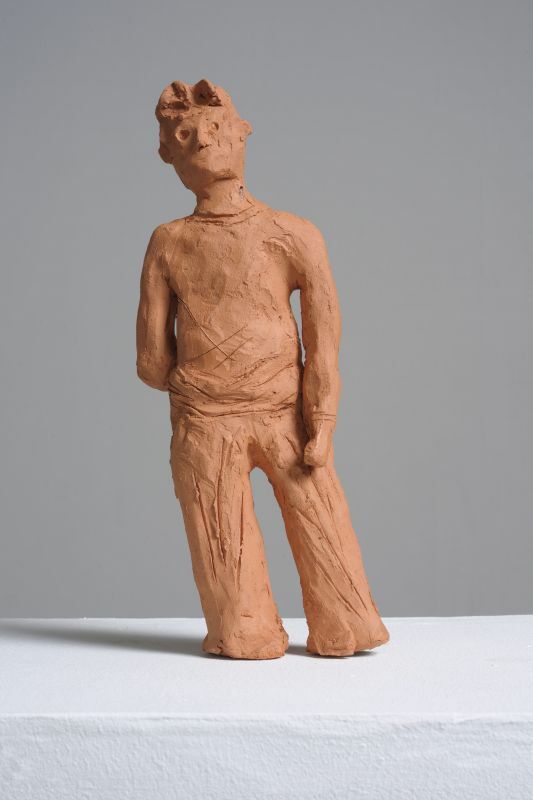 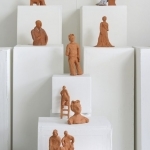 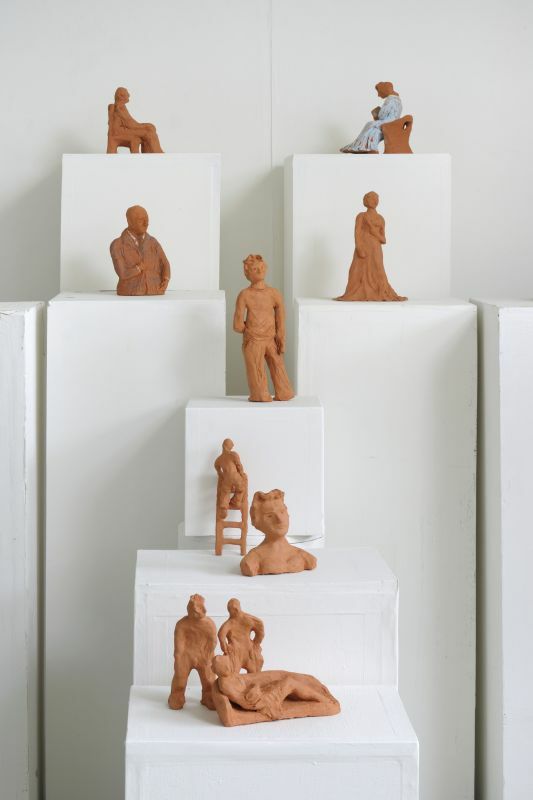 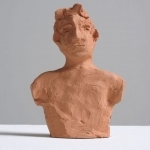 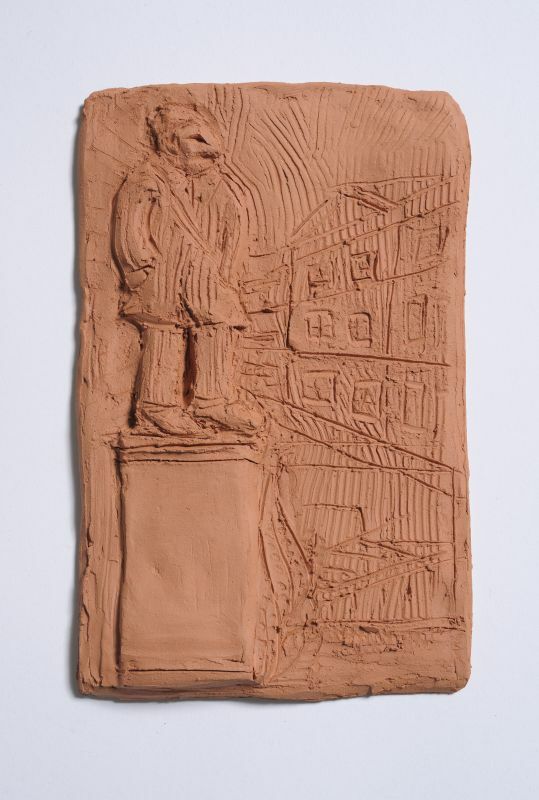 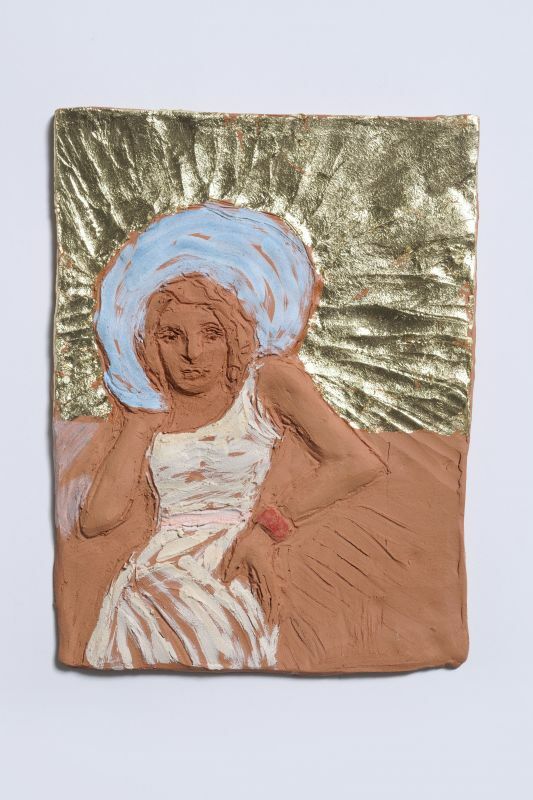 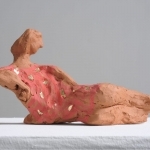 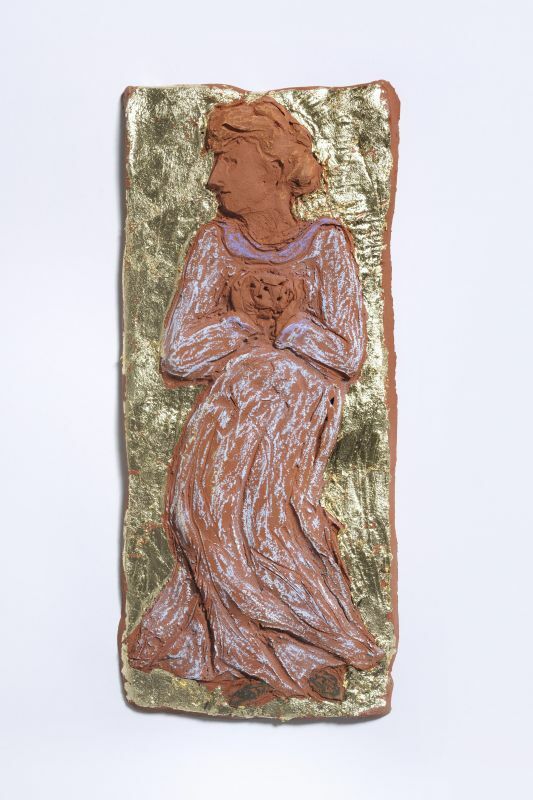 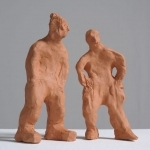 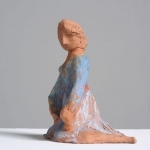 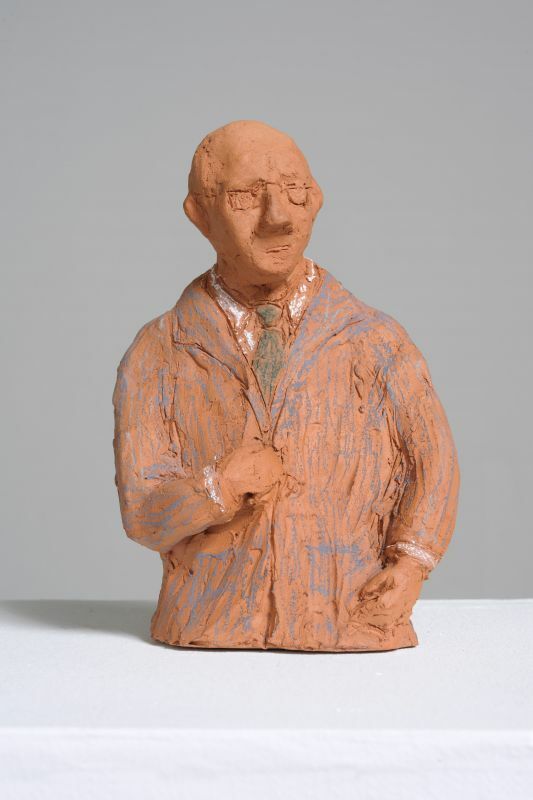 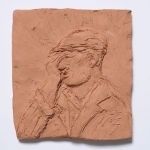 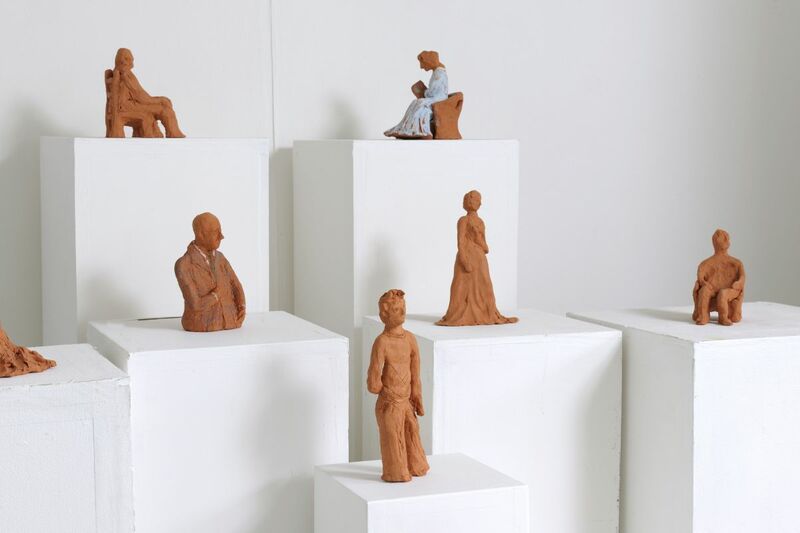 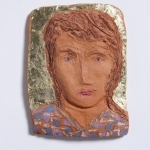 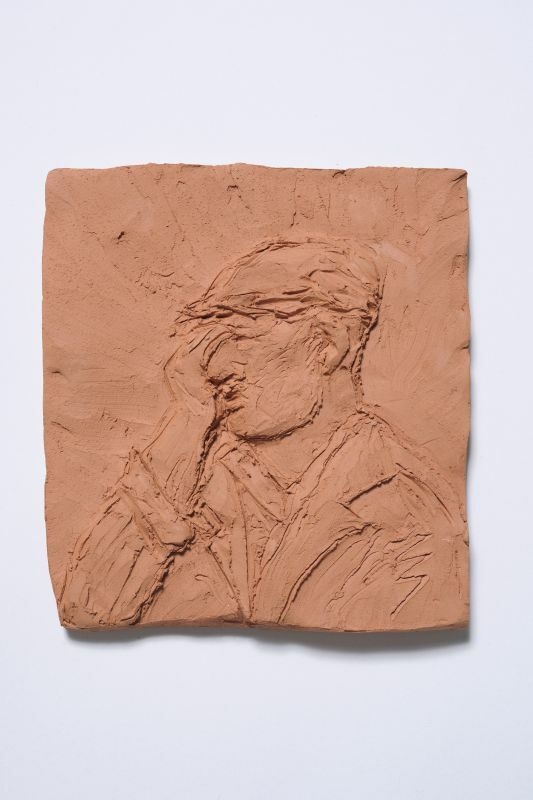 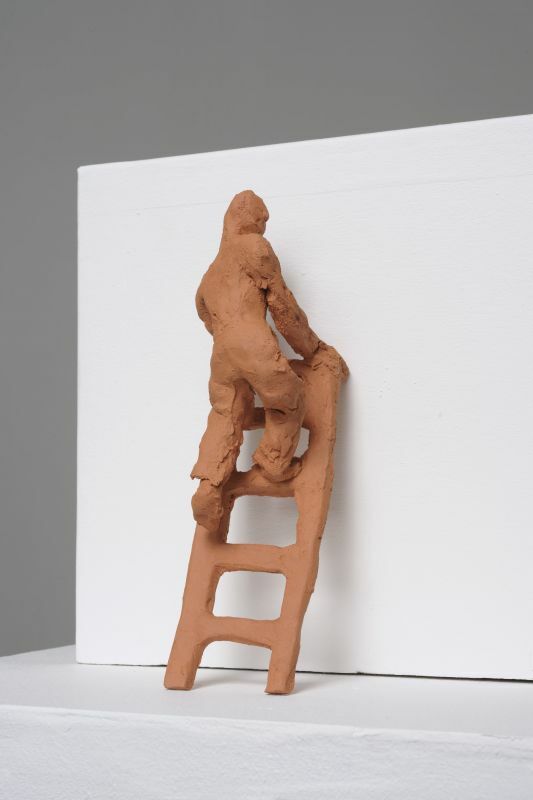 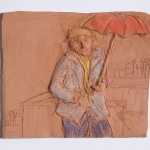 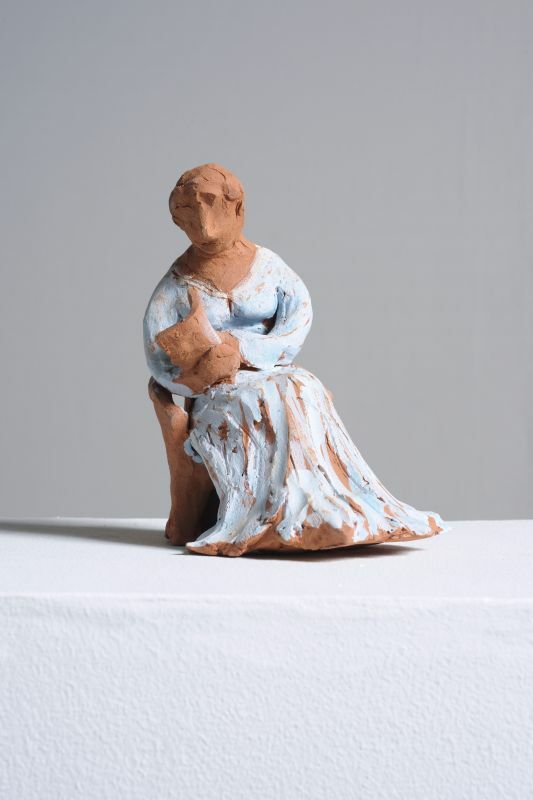 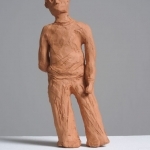 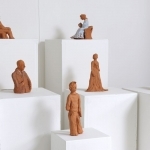 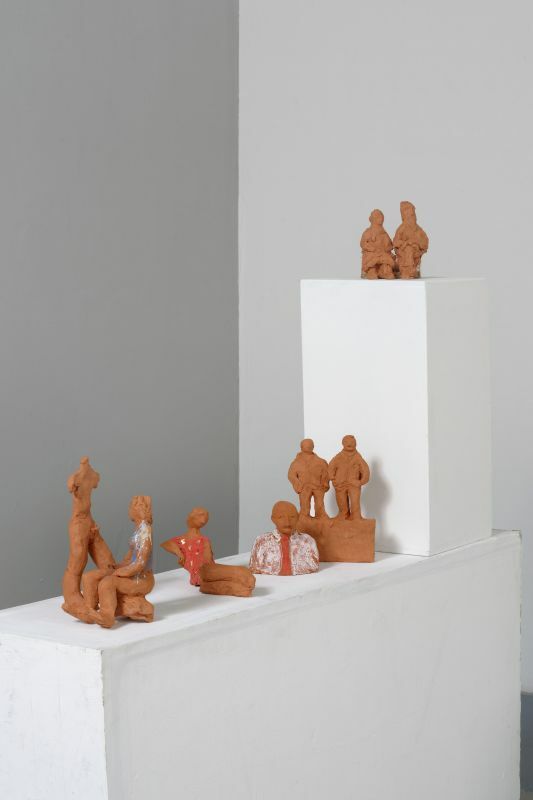 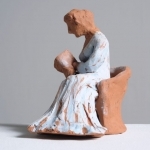 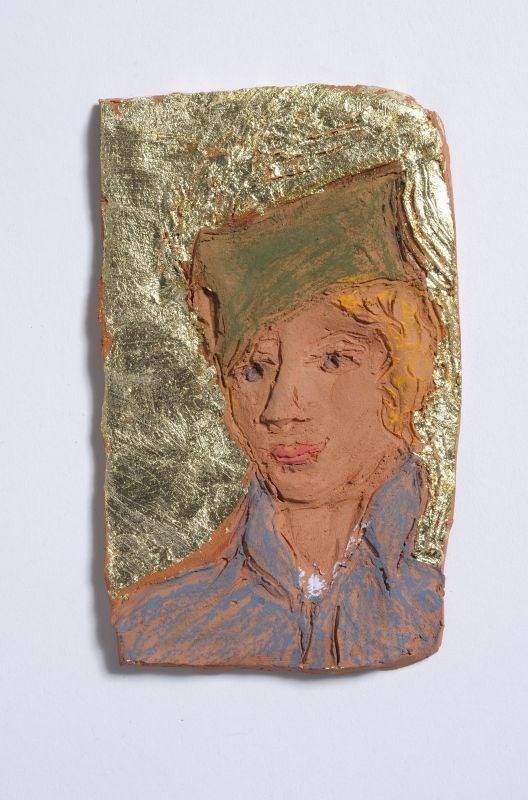 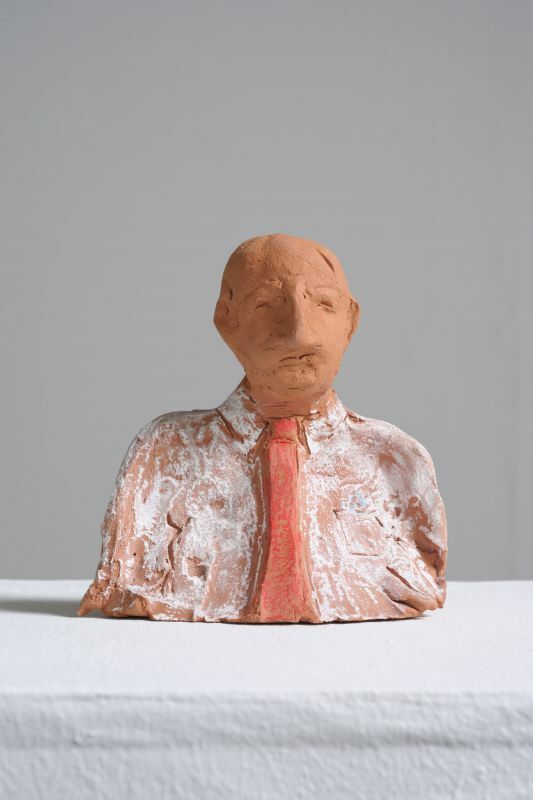 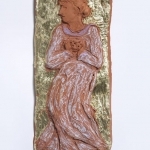 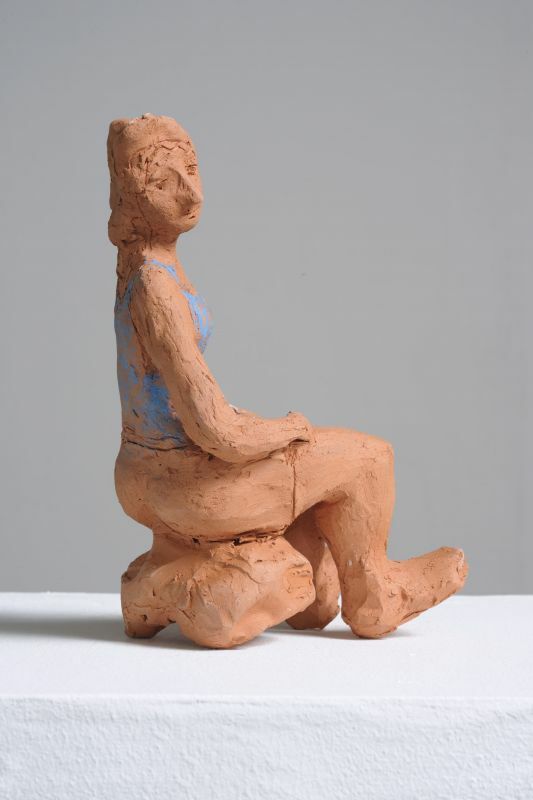 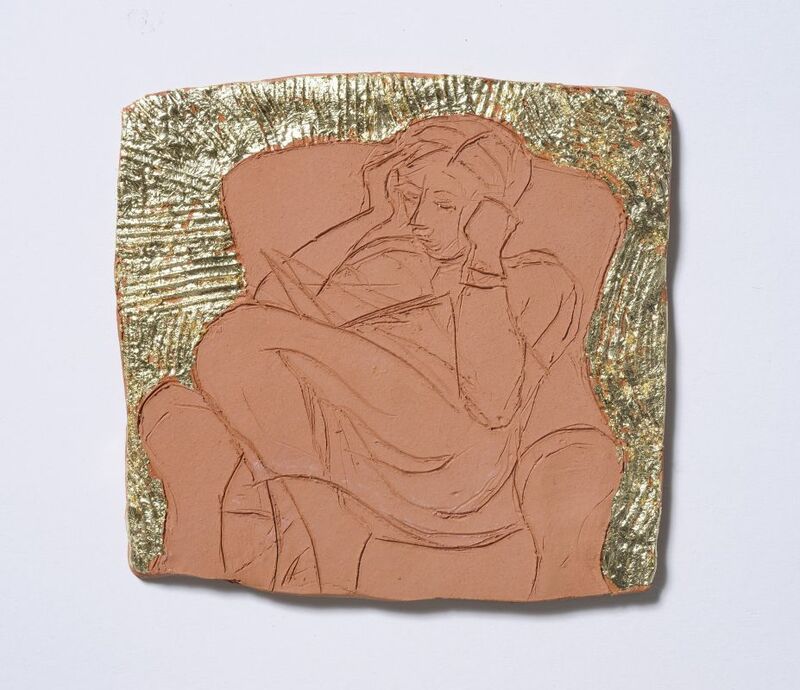 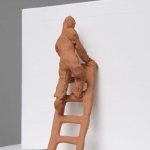 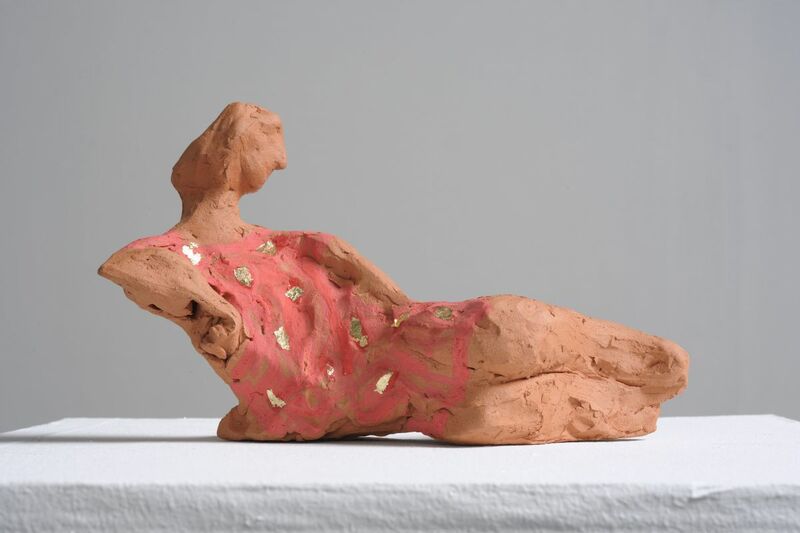 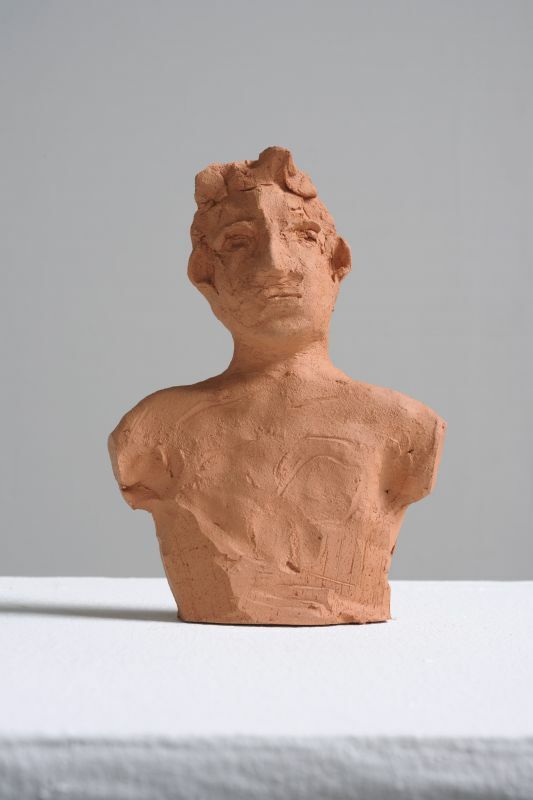 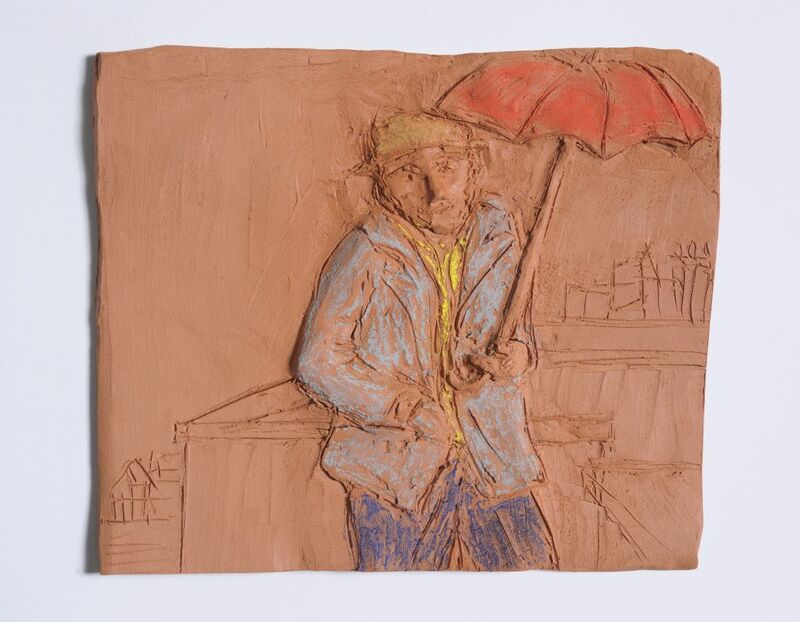 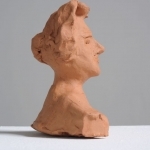 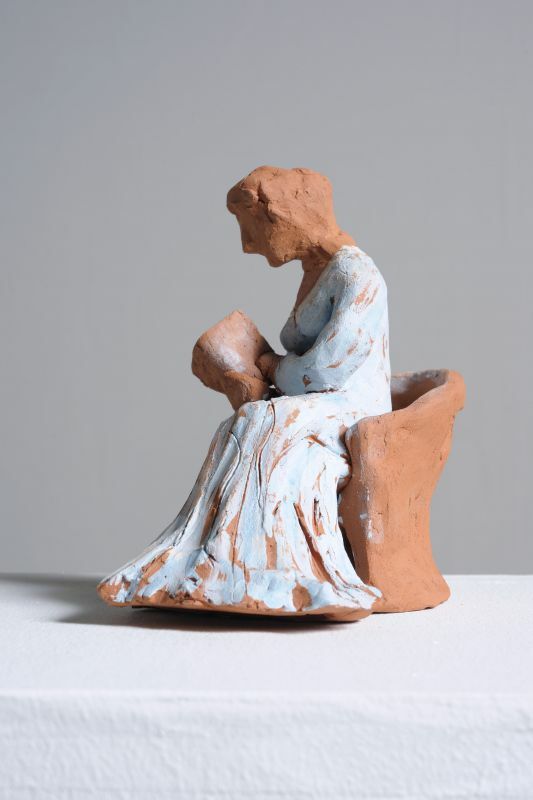 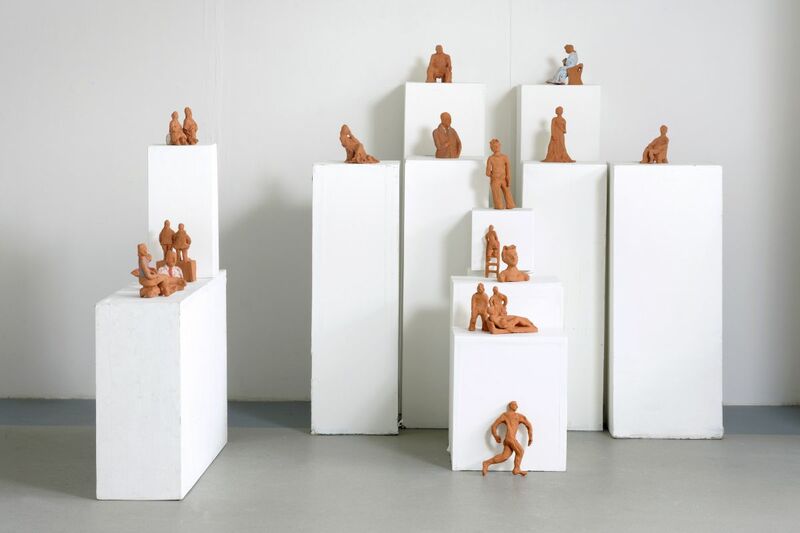 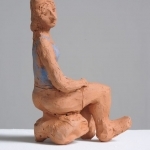 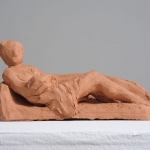 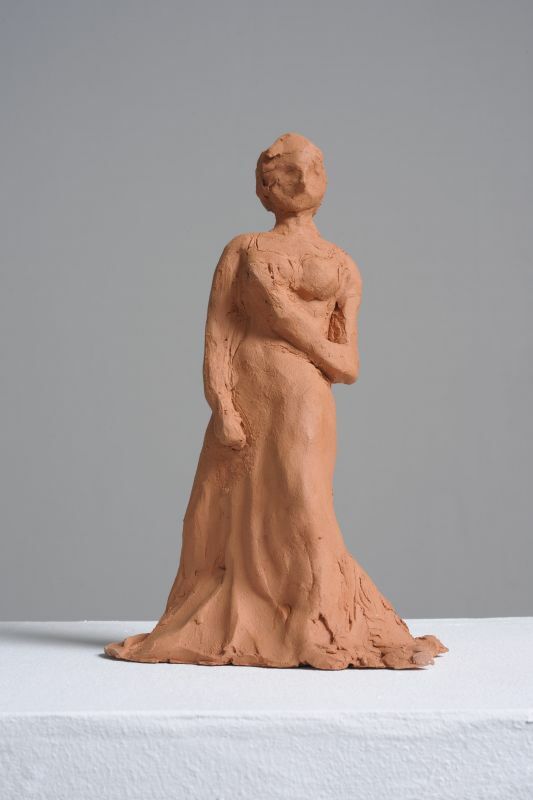 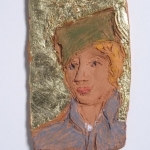 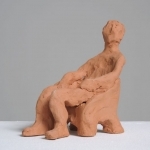 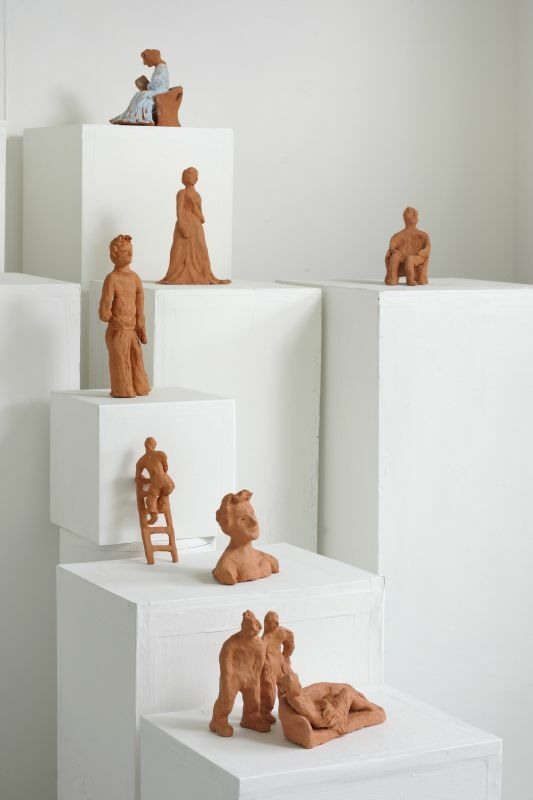 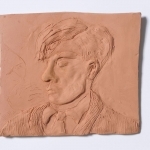 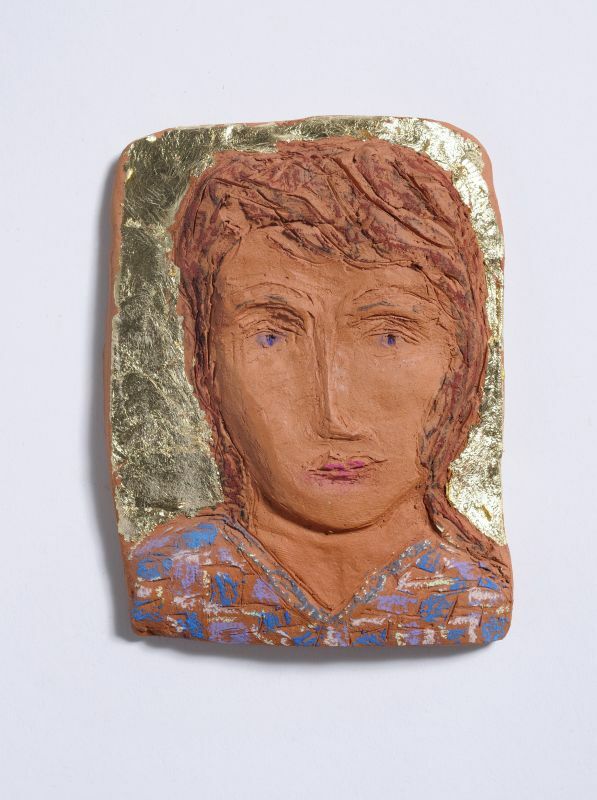 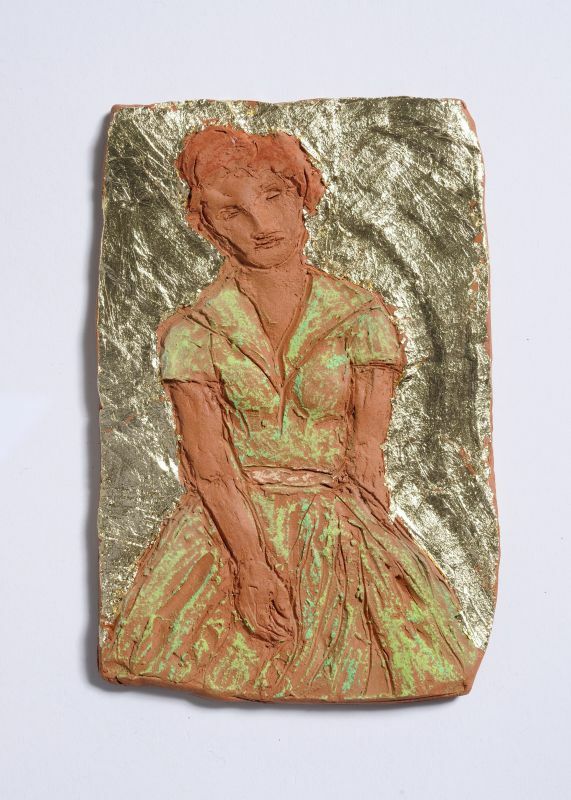 These are images of terracotta figures and reliefs made for my M.A. 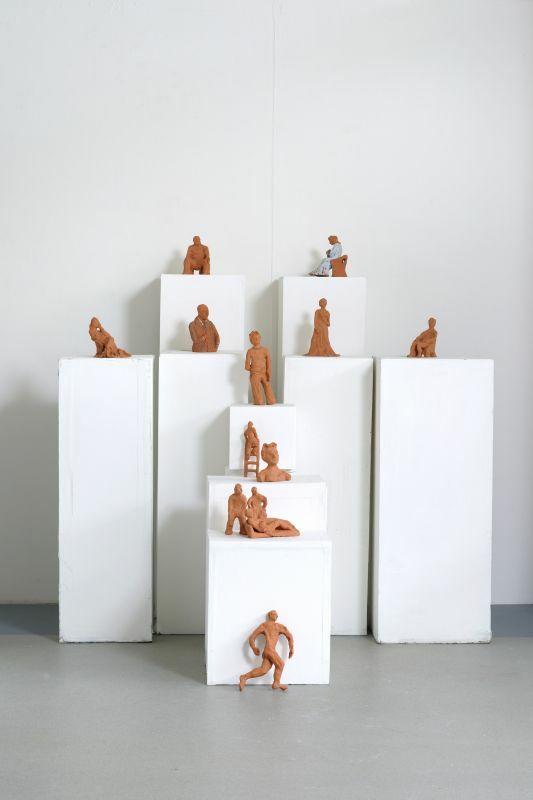 in Sculptural Practice at Colchester Institute. 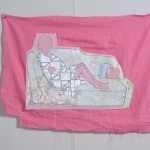 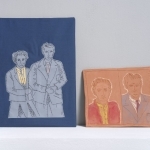 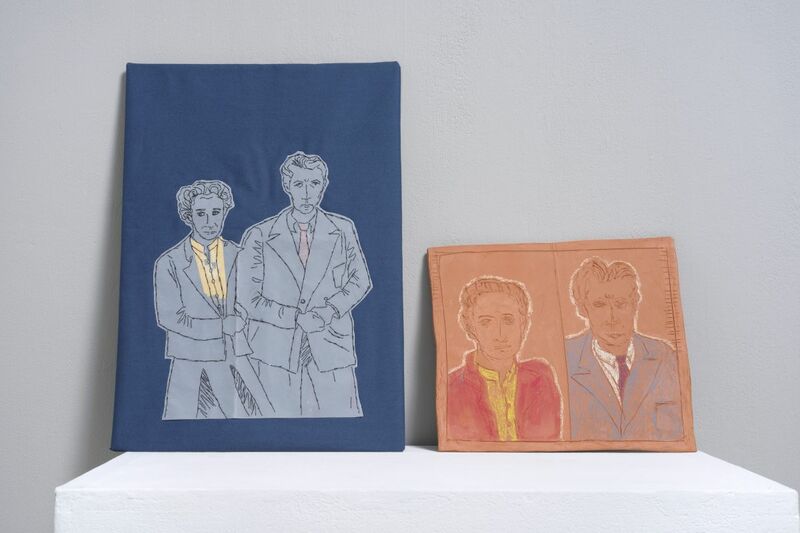 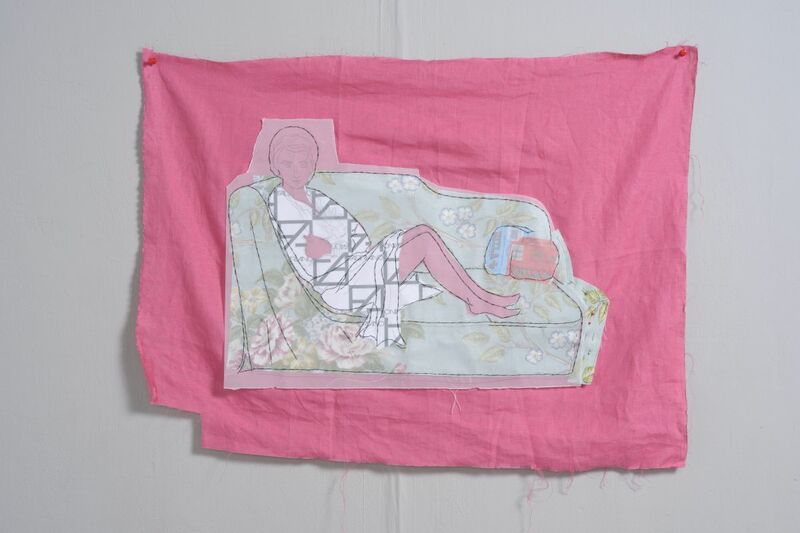 They are solid objects, unlike my other work, but what they share is an interest in drawing and the spontaneous mark, and thus they connect strongly with my embroidered drawings and Dieu Donne paperworks. 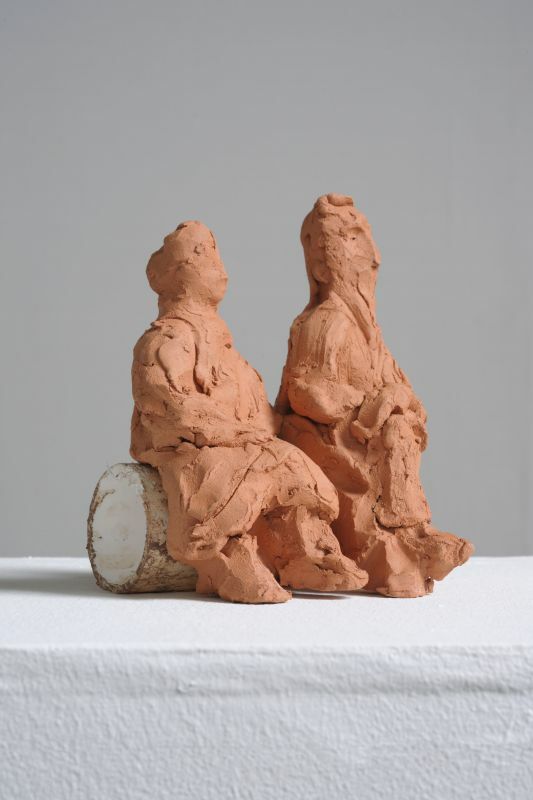 The terracottas are concerned with the gaze; a human grouping which looks out, looks away, watches. 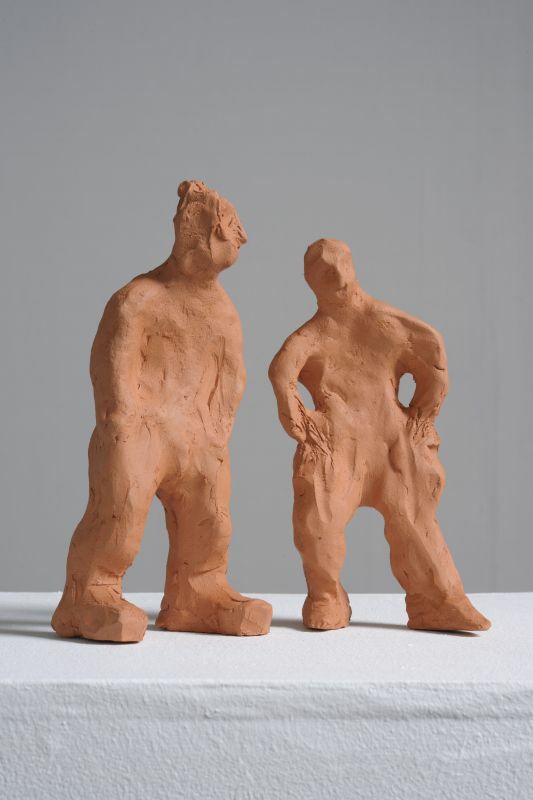 Together they suggest an assembly room, apart they are convey solitary, quizzical reflection. 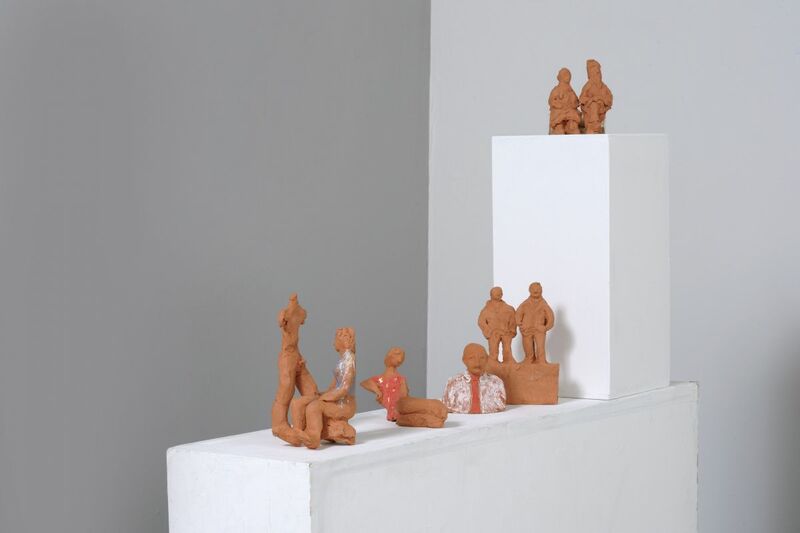 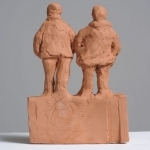 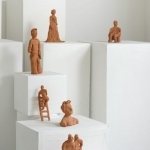 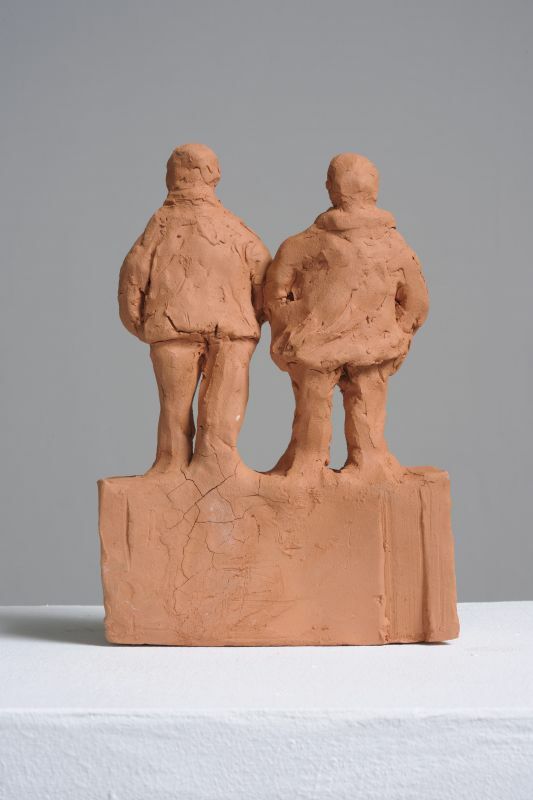 Infinitely rearrangeable like toy soldiers, these figures are actors in their own dramas. 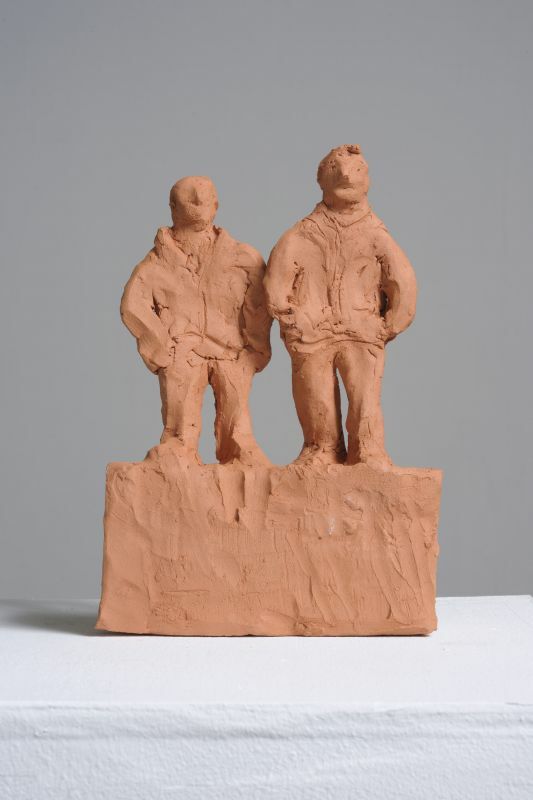 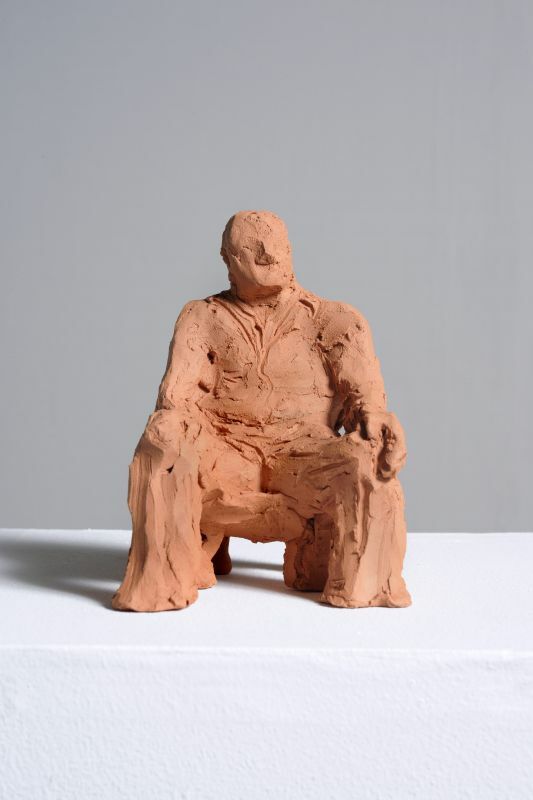 Formed from the most basic of materials, this work tries to capture the simplicity and tenderness of a moment,: the gaze connects us, tries to communicate, tries to save us.